This elegant, blow-your-socks-off-delicious main course curry is sure to set a high standard for all your subsequent meals. Fortunately, one can purchase racks of lamb at most supermarkets. If you do not want the hassle of cutting your own chops from the rib rack, have the butcher do it for you. This is a great curry to serve with Basmati rice with saffron and whole spices. Licking your fingers is perfectly acceptable- in fact, it's the best way to relish every bit of lingering flavor. 1. Thoroughly combine the ginger, fennel, mustard, cardamom, cayenne, salt and garlic in a small-sized bowl, stirring to make a damp (and potent) rub. Coat each lamb chop with a scant teaspoon of this rub on each side, pressing it into the meat. Refrigerate, covered, for a least 30 minutes or as long as overnight. 2. Heat 2 Tbsp (30 mL) of the canola in a large-sized skillet over medium heat. Add half the lamb chops and rub to the hot oil and sear each side until browned, about 3 minutes per side. Transfer the chops to a serving platter. Scrape any spices and oil stuck to the skillet into a small bowl. Add the remaining 2 Tbsp (30 mL) canola oil to the same skillet and repeat with the remaining lamb chops. Add the chops to the ones in the serving platter. Cover it with foil to keep warm as you prepare the sauce. 3. Add the saved browned spices and oil to the skillet along with the onion. Saute to allow the onion to soften, 2 to 3 minutes. 4. Stir in the tomato paste and let it warm through, 1 to 2 minutes. Add the spinach, including its thawed juices, and salt. Scrape the skillet to loosen up browned bits of spices and tomato paste to deglaze it. Cook the spinach, covered, stirring occasionally until the spinach is olive green and tender, about 5 minutes. 5. Stir the cream into the spinach. Transfer the skillet's contents into a blender and puree until the sauce is smooth. 6. 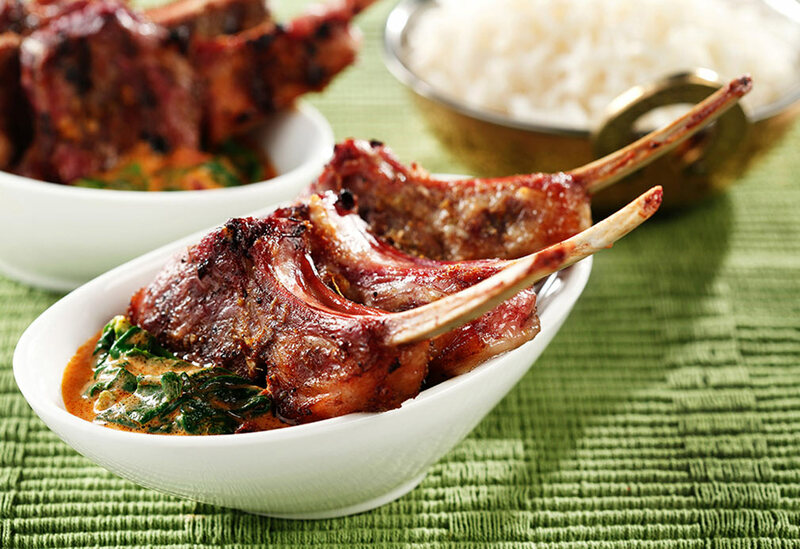 Spoon a tablespoon (15 mL) of the sauce over each lamb chop and serve. 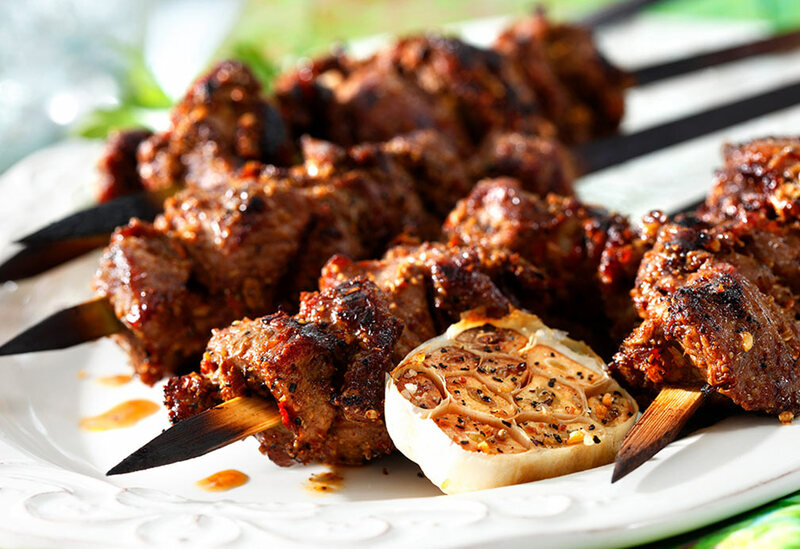 This grilled spiced kabob is inspired by the popular street vendors of Western China. Traditionally made with lamb, the recipe works with beef or chicken, too. Canola oil helps prevent the meat from sticking to the grill. 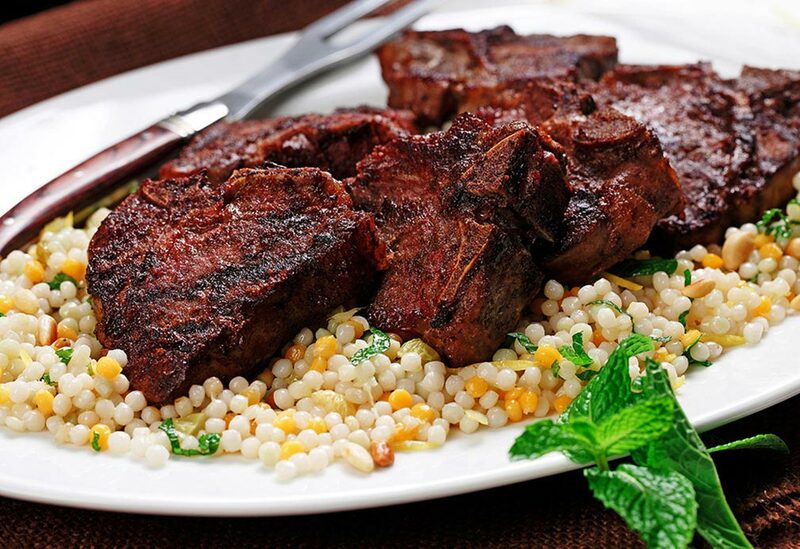 This company-worthy dish is made by marinating tender lamb chops and serving them over a mound of pearl couscous with heady sweet spices and a generous amount of fresh mint. Canola oil carries the flavors of the lamb rub and keeps the chops from sticking to the grill. Cut your work load in the kitchen by making one flavor base and using it two ways! 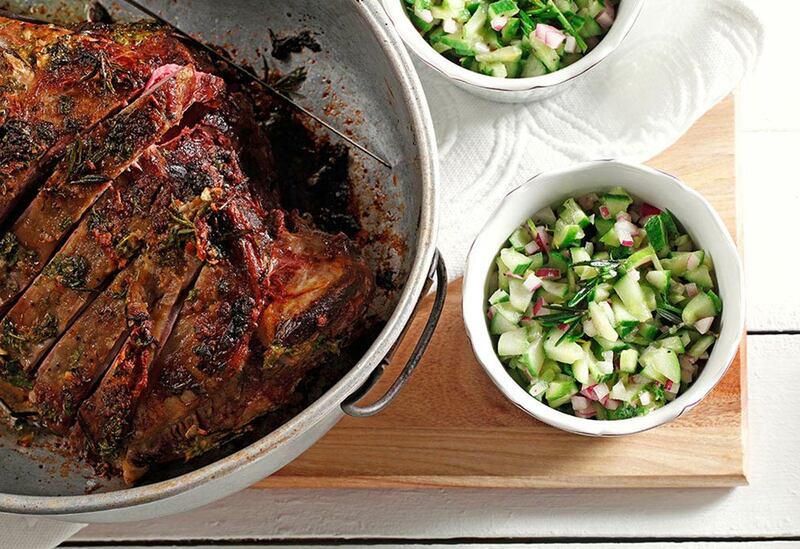 In this recipe, the herb mixture is used in both the lamb marinade and cucumber dressing! Canola oil works two ways here, too, as a mild-tasting backdrop to the herbs and as a heat-tolerant cooking oil for roasting the lamb.